Not sure what to do with all the apples ripening in your garden. KBCT have a solution and invite you to come along with as much fruit as you can gather to have it crushed and squeezed into juice. Just bring your apples along to the Community Hall on Saturday 29th October and we will do the rest. All we ask is that you also supply some clean flagons or containers. Empty milk cartons would be fine. You will then have delicious juice to enjoy at home or perhaps process further into cider. We will supply all the necessary equipment. There is no charge, although any small donation would be appreciated to help with costs. Spread the word, bring your friends and neighbours. The equipment will be in place outside the Hall from about 1 o’clock on Saturday . 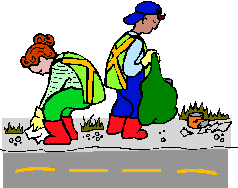 We are also planning to hold our twice yearly litter pick around the village on the same day, so if you could perhaps spare an hour or so to help with the litter pick as well, that would be great. Sticks, gloves and bags will be provided. Just come along anytime after 1100.